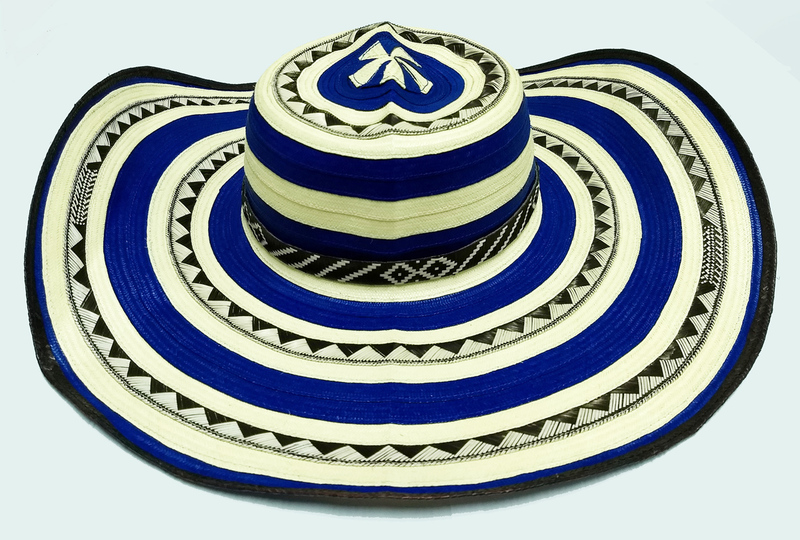 Beautiful Colombian Vueltiao Hat. 21 Laps, blue colored caña flecha fiber. ONE STANDARD SIZE. Includes adjustable band with the same motive of the sombrero.